Abstract Submission Site will open end of April. The Scientific Program Committee invites you to submit an abstract to be considered for Poster Presentation at the 2019 Conference Program. All abstracts will be published in a special issue of the journal Dental Materials.  Click here to see last year’s (2018) ADM Annual Meeting Abstracts published in Dental Materials. The delegate who is submitting this abstract paper should be the “Presenting” delegate. Presenting delegate must be an author (1st Author or Co-Author), register for the meeting and is limited to present one (1) poster. The poster size should be 90 cm wide x 150 cm high. Posters should be attached with double-sided tape or using a cord, as there will be a hook on each poster board. Due to space constraints, we cannot provide tables or electricity for poster presentations. Purpose, Methods and Materials, Results, Conclusion. Tables are posted in the HTML Table Box at bottom of form. Use the “Table” ICON to insert table. Only one (1) table will be accepted. • ADM requests that all speakers shall disclose any affiliation with any financial interest in a company or a product related to the subject matter of the presentation as a part of the Speaker’s Agreement. • The intent of this policy is not to prevent a speaker with an affiliation or financial interest from making a presentation, but any potential conflict must be identified openly so that the attendees have the full disclosure of the facts and may form their own judgments about the presentation. • Any portion of the information submitted below will be shared with the attendees to gain perspective on the educational merits of the presentation. A potential conflict of interest does not exist. Neither I nor any member of my family has any financial arrangement or affiliation with a corporate organization offering financial support for ADM. Nor do I have a financial interest in a commercial product or service that I will discuss in my presentation. Therefore, my presentation is unbiased in nature. BIASED PRESENTATION – A potential conflict of interest does exist. I or a member of my family has a financial arrangement or affiliation with a corporate organization offering financial support for ADM. Or, I have a financial interest in a commercial product or service that I will discuss in my presentation. Therefore, my presentation is biased in nature. © 2018 Academy Of Dental Materials.